How to Create a Nucleus from your own Hives. Nucleus, often shortened to nuc, is the name for a small colony of bees, taken from existing hives by a beekeeper as a way of increasing his number of hives. The length of time it takes a nucleus to grow into a full and productive sized hive depends on the seasonal conditions and the bees themselves. Bees naturally reproduce by swarming. A Swarm happens when a hive produces a second queen, and then half the bees (predominantly young ones) and the old queen fly away from the hive to find a suitable sheltered place to build some comb and start a new colony. Making a nucleus from an existing hive is basically duplicating the swarming process. To do this successfully you should ensure many of the conditions are as close to those of natural swarming as possible. 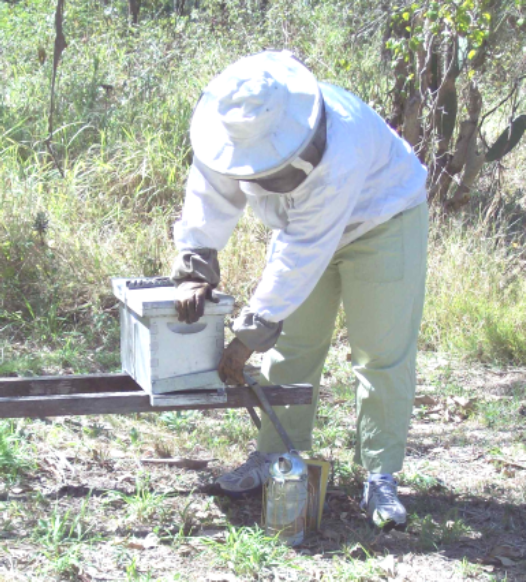 To successfully make a nuc you need to be able to find the queen and identify both honey and brood. If you do not yet have these basic beekeeping skills, please wait until you do otherwise making up a nuc will be a matter of pure chance and all you will probably do is weaken the parent hive, kill off a young queen and create chaos in the apiary. Yes, you could always wait until your bees swarm then try to collect the swarm but this is a process fraught with risks. 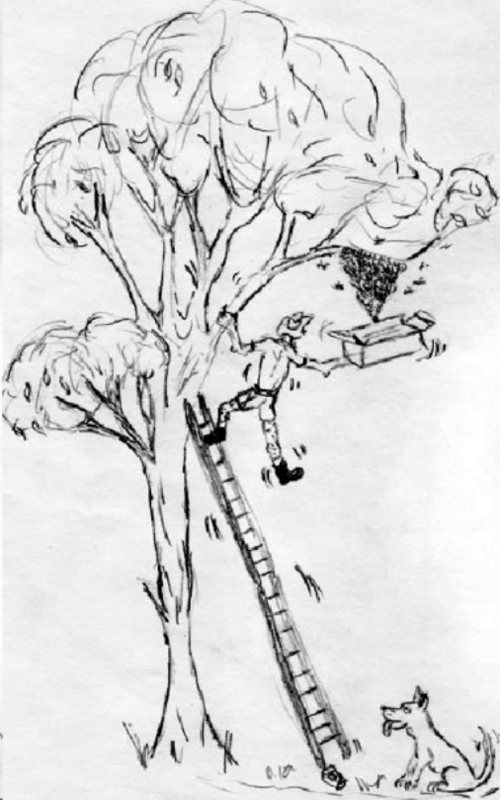 Virtually all beekeepers have at least one great story about trying to retrieve a swarm while standing on a rickety ladder, 40 feet up a gum tree, in the neighb our’s yard, in the wind, or the rain, wearing their best suit 10 minutes after they are supposed to be at a wedding and worst of all, surrounded by an interested gaggle of spectators most of whom are offering advice, but not help, or announcing loudly that they are fatally allergic to bees and will drop dead on the spot if stung. These are all great stories but not sensible beekeeping. It is much better to increase your hives at a time and place to suit you. Weather, including the nights, should be warm, and there must be plenty of both nectar and pollen available. You need a strong parent hive which is on good conditions and has enough bees and brood to split into 2 parts. The nuc will need a queen, so arrange to purchase one from a reputable queen breeder. Then wait until she arrives and you are sur e she is in good condition before creating the nuc. 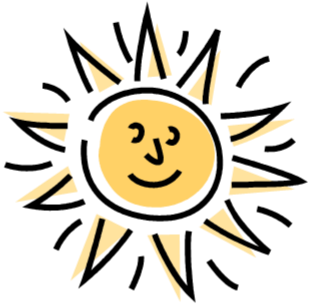 If the weather is uncertain listen to the forecast and choose the best possible time. The new queen will survive in her cage for a few da ys if you have to wait for the weather to improve. This is the major difference to the natural swarming process. There is no second queen already in the hive to go with the nuc and an adult queen can only be introduced the day after the nuc is split from the parent hive. It is not possible to change this time frame so make sure you have time on the second day to introduce the purchased queen to the nucleus. 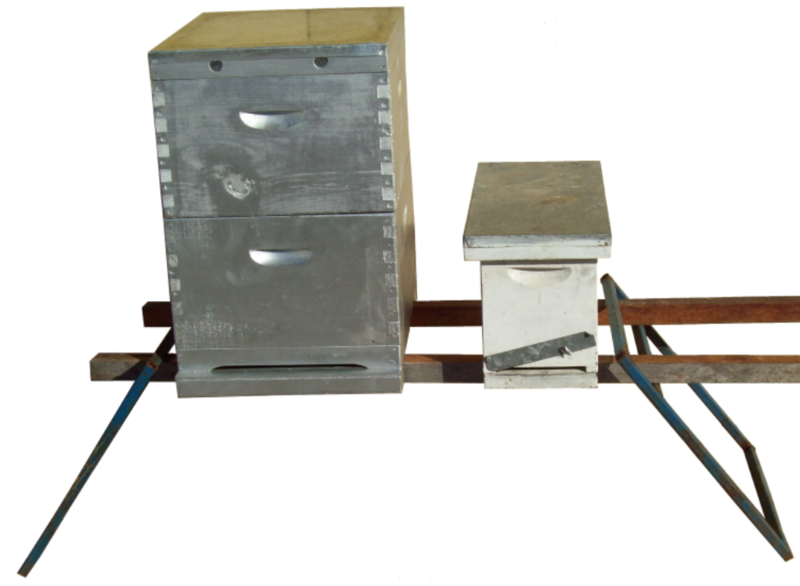 You need to arrange a temporary place at least 3 kilometres from the parent hive for your nuc to stay for 2 or 3 weeks. 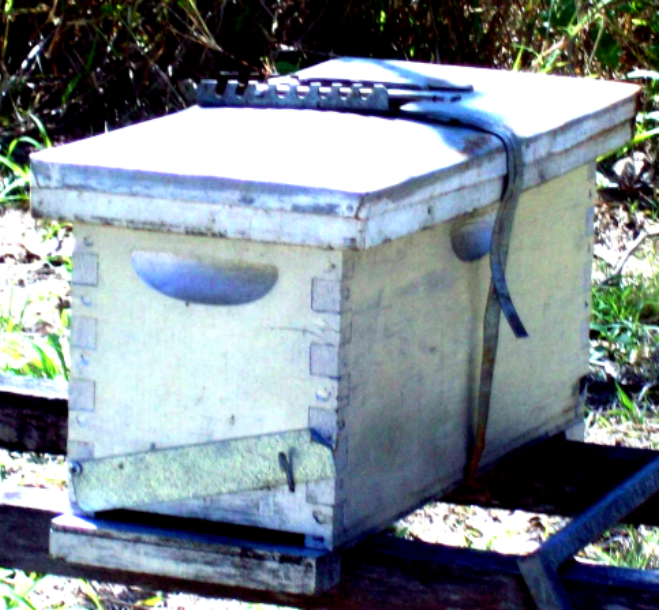 Some beekeepers buy a special nucleus box which holds only 4 frames. They use this to make up the nuc and then when it has grown and needs more frames transfer the 4 frames into a bigger box. A useful alternative is to put a wooden partition into a standard single box to create a 4 frame “room”. Then as the nucleus grows the partition can be moved across to accommodate more frames and eventually removed completely. Either way the box must have some way of closing the entrance for transport to and from the temporary site. You will be taking a total of 4 frames from the parent hive and so you need 4 frames to replace them. Giving the hive fully drawn combs will get the bees back to normal more quickly than giving them just foundation which they have to draw first; but realistically, you can only give the bees what you have. In brief - To produce a good nuc you need. 1. A good strong hive containing enough bees and brood to split into two. 2. A young laying queen bought from a reputable breeder now safely in your Possession. 4. 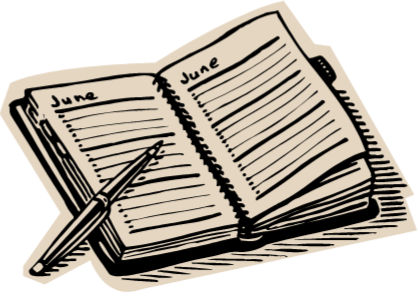 Time to attend your bees on 2 consecutive days. 5. A temporary place to take the nuc. 6. A suitable box to house the nuc. 7. Frames to put back into the parent hive. 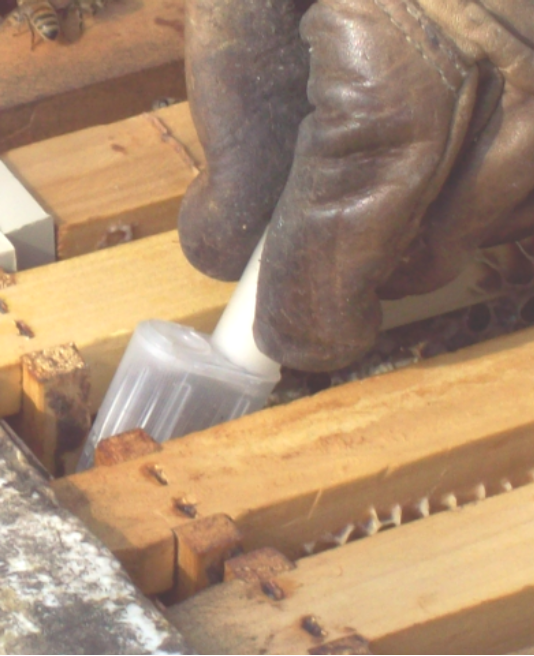 Ideally, splitting a hive is done first thing in the morning while many of the bees are out. Some honeyflows stop around 1pm or 2 pm and after that more of the bees will be home and probably a bit niggly. Close the entrance on your empty nucleus box. Spray a little water into your nuc box, the bees will need it later. FIND YOUR QUEEN repeat FIND YOUR QUEEN. Do not proceed until you have found the queen. If you struggle to find the queen read to the end for some extra suggestions. Having found your queen put the frame containing the queen carefully aside as that frame and the queen must go back into the parent hive. 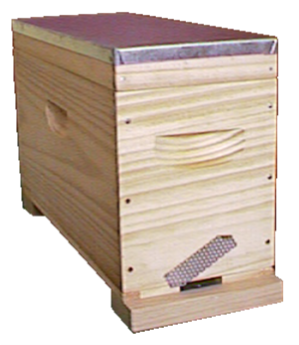 Carefully transfer frames containing mostly sealed brood that are well covered with bees into your nuc box. Keep the lid on the nuc box only removing it for long enough to insert the frames. This keeps as many of the flying bees on the frames in the nuc as possible. 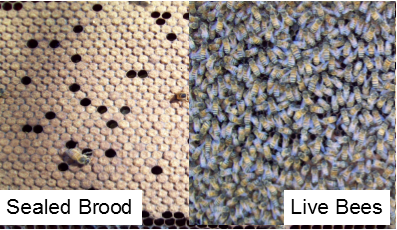 You need 2 frames which both have a very l arge, patch of brood on each side. You should take no more than 40% of the total brood from your parent hive. 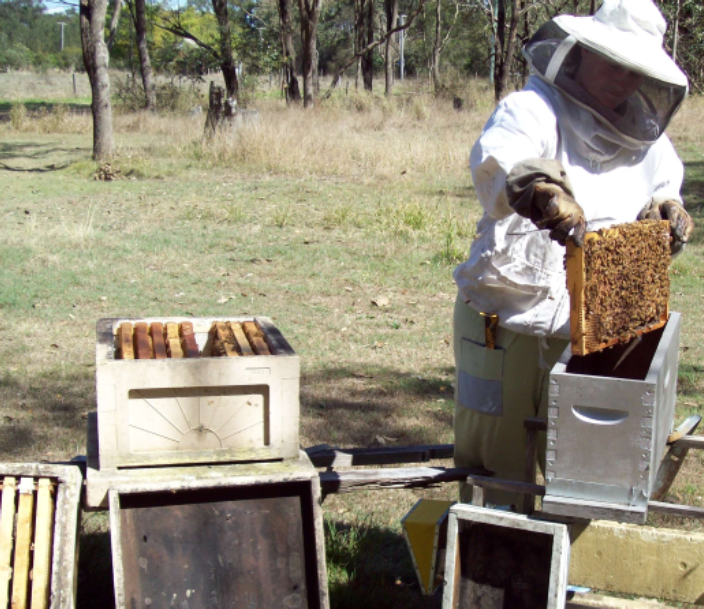 If when you get to this stage you have the difficult choice of producing a small nuc or taking too much brood from your colony, there is another option if you have more than one hive. 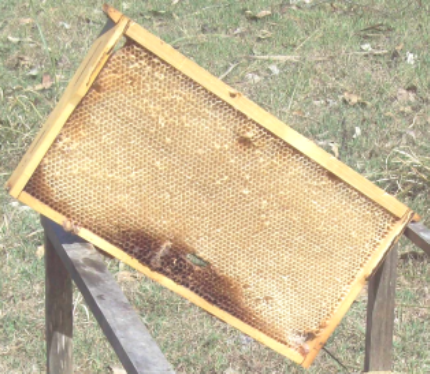 You can boost your nuc with a frame of brood only, no live bees, from another hive. If you have to go this way, try to choose a frame with mostly sealed brood which will hatch soon and boost the strength of the nuc. Assuming you have got all the brood and bees you need on 2 frames add a 3rd frame containing mostly honey to keep the bees going until they can collect enough for themselves and a fully drawn but mostly empty 4th frame to give y our new queen somewhere to start laying as soon as she is introduced into the nuc. Once your nuc has all 4 frames, lock it up for the trip. Re-assemble the parent hive, checking the queen has definitely been put back. 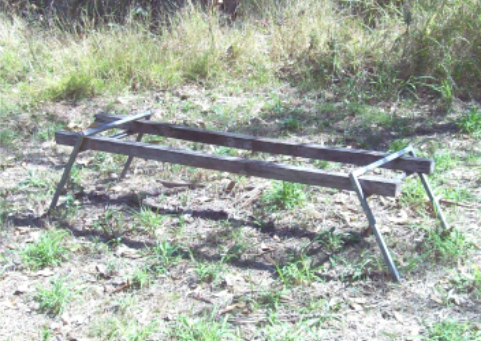 Push the remaining brood frames together in the centre of the brood box and fill up the empty spaces on both sides with the spare frames you brought with you. Take your nuc to its new location. Do it straight away. No, you do not have time for a cuppa, a shower or anything else. The b ees are now locked in the nuc and heat is the greatest killer of bees so getting them straight to the new location and opening the box and letting them fly is very important. If the weather is hot, the bees will benefit from having a couple of wet hessian bags covering their box for the journey. 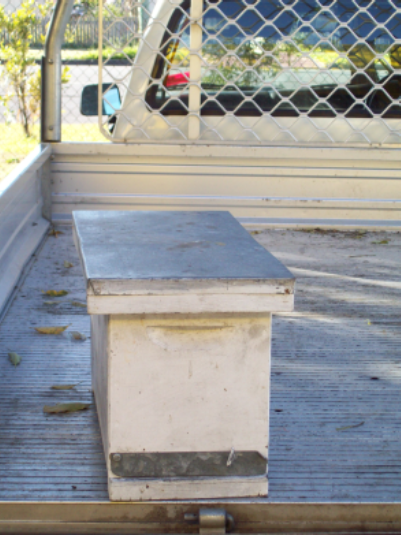 Once at the new site open the nuc box and let the bees fly. Their temper will not have been improved by the whole process so be careful. 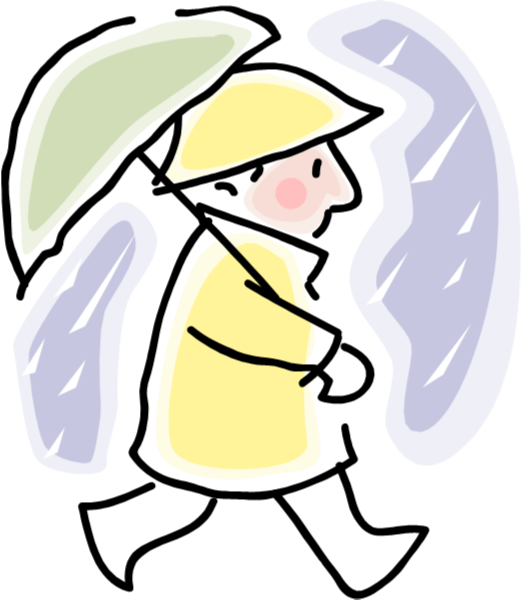 It is worth the time to light your smoker, and put your veil and gloves back on. Remember to stand well to the side of the box as you open the entrance as the bees tend to come pouring out looking for a fight. 1. A queen less nuc in a new location. 2. A parent colony which while somewhat reduced in strength still has its original queen and a full compliment of frames ready for the queen to start replacing the taken bees. 3. A young laying queen still in her cage safely at home as you received her from the queen breeder. 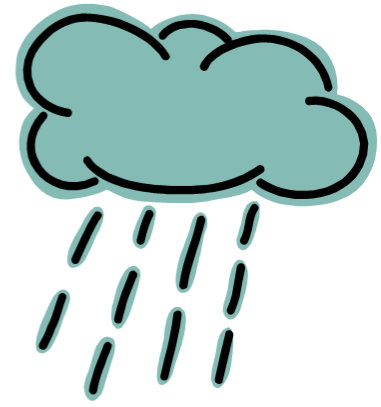 It doesn’t matter if the weather man got it wrong and it’s now bucketing rain or blowing a gale, put on your raincoat, find an umbrella and just get on with it. On the second day, you must, yes must, introduce the queen into the nuc as per the instructions. Leaving the nuc queen-less for 24 hours but no longer is critical. It takes 24 hours for the bees to realize they are queen-less but if they are left without a queen much longer they will choose some of the eggs from the brood and start to make a queen of their own. Once the bees have set out to produce a queen of their own they are much less likely to accept another queen. Following the instructions which should come with the queen to introduce the young queen to the nuc. Once she has been introduced leave the bees alone while they eat her out of the cage and get themselves established. After an absolute minimum of 5 but preferably 7 days, open and inspect the nuc to ensure the queen is out of the cage and laying. The general temperament of the nuc is a good guide to their wellbeing, a calm hive with all the bees going about their business probably means everything is O.K. and, if there are eggs and perhaps young larva as well, your nuc is now a small but fully functioning hive. All it needs is time and decent conditions to grow strong and productive. The nuc is ready to be returned to your apiary. It is now a separate hive and the bees will not try to return to the parent colony. If you do not find eggs or young larva (grubs) on the first look, don’t panic. Check the queen is out of the cage or tip her out then leave the nuc and look again in a few days. Young queens sometimes t ake a while to get into a good laying pattern. However until you find eggs and young larva the nuc is not a separate viable unit. Give it a total of about 2 weeks and if you still do not have eggs and larva proceed to oops. Approach. Yes, the queen is a little bigger than the other bees and somewhat more pointed at the back end but on a crowded frame the differences are not sufficient to make her stand out and be easy to identify. 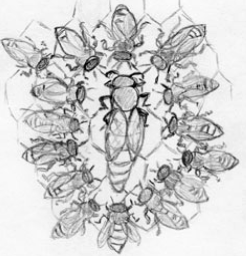 Fortunately a queen is almost constantly surrounded by a circle of bees, all facing inwards. They are providing the queen with food or water or licking the queen substance from her body. To find the queen hold the frame at arm’s length and look for the whole moving group rather than the single queen bee. Think of it this way. No-one would notice a VIP walking up the footpath quietly and alone. Surround the same VIP with several assistants, body guards and a scrum of media people and the whole moving circus is very easy to find. As with any natural process there are a number of things that can go wrong along the way. The probable re sult is that you will end up with a queen-less hive of bees. Fortunately that has a simple solution. Reunite the queen-less hive back with a queen-right one. It does not have to be the original parent hive. The remaining bees will have a useful life and the queen-right colony will be stronger for the extra bees and the beekeeper will be wiser when he makes up a nuc next time. 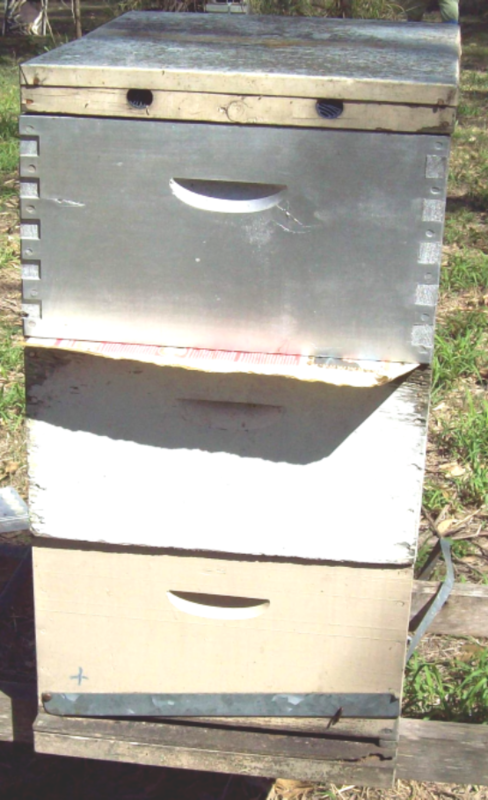 Remove the lid from the queen right hive; cover the top of the top super with 1 sheet of a big newspaper. Sweeten the process by sprinkling a little PURE icing sugar (not icing mixture) on top of the newspaper. Put in a few small holes (small holes with a toothpick or matchstick not huge ones with a screwdriver) lift the queen less colony off its base and put the box directly on top of the newspaper. Replace the lid on the very top. Leave the bees alone to eat away the newspaper and sort themselves out. It will take the bees a couple of days to eat away the newspaper and by that time all the bees will smell the same and the queen substance will have been passed to the new bees so they will all unite without any problems. Leave for a few days and then inspect the colony and adjust the Size of the wooden box to suit the strength of the colony of bees inside.